Beyond the study of math, literature, science — and, natch, music — the ultimate goal for any Christ follower is to raise your kids to know and love the Lord. All education should serve that end. I love the classical model, because it naturally unfolds from that point of view. Every piece of educational instruction works together to magnify the Lord. It’s not really my wheelhouse to wax philosophical too long, so I recommend ye olde Google if you want to take a deeper dive (search classical education subject integration for a treasure trove of articles). 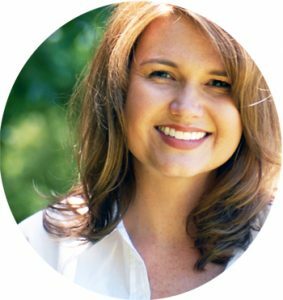 I’m going to quickly skip out of the WHY and straight into my happy place: the HOW. I am launching a ten-part series that will run through mid-July. Each week I will take a piece of great classical music and show you how to use it as a gateway into other subjects. These posts are not intended to be completely prescriptive, though you can certainly use them that way. I more want to convince you it is a great way to make music come alive. Hopefully, by the time school starts next year, I will have tipped your thinking toward how you can incorporate music into everything else you are doing. Music appreciation will easily slip in and out of your lesson plans while your home is filled with great music that has stood the test of time. Felix Mendelssohn was a wealthy chap. Part of being a man of means back in the day was taking a Grand Tour as you embarked upon adulthood. Usually involving a several-month long jaunt around Europe, a grand tour was a young man’s way to see the world while expanding into a more refined and cultured person. Composer Felix Mendelssohn left his German homeland in search of grand adventure when he was only twenty years old. He made his way to London and then farther north to Scotland…and even farther north than that to the Scottish Highlands, specifically a little collection of islands called the Hebrides. Mendelssohn was moved by the raw and raucous nature of the Hebrides Islands, particularly an awe-inspiring spot known as Fingal’s Cave. His composer wheels started turning in earnest. As soon as he hit land, he quickly jotted down all the melodies that had erupted in his mind while journeying through the cave. So it wouldn’t be lost, he mailed his musical notes to his sister back home. His preserved scribblings would eventually become the Hebrides Overture. Ready to give it a listen? 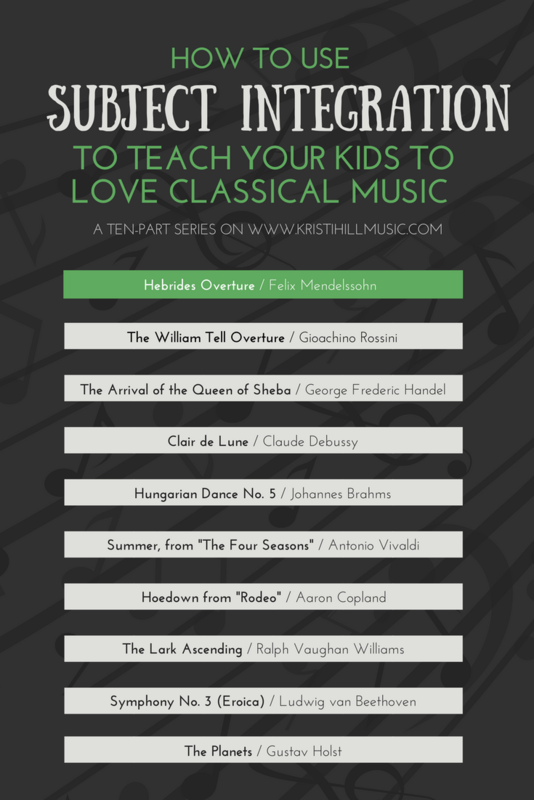 Your children will love the adventurous sound of the music, especially knowing the back story. Once their interest is peaked, you can dive into more subjects to see where the spark takes you. 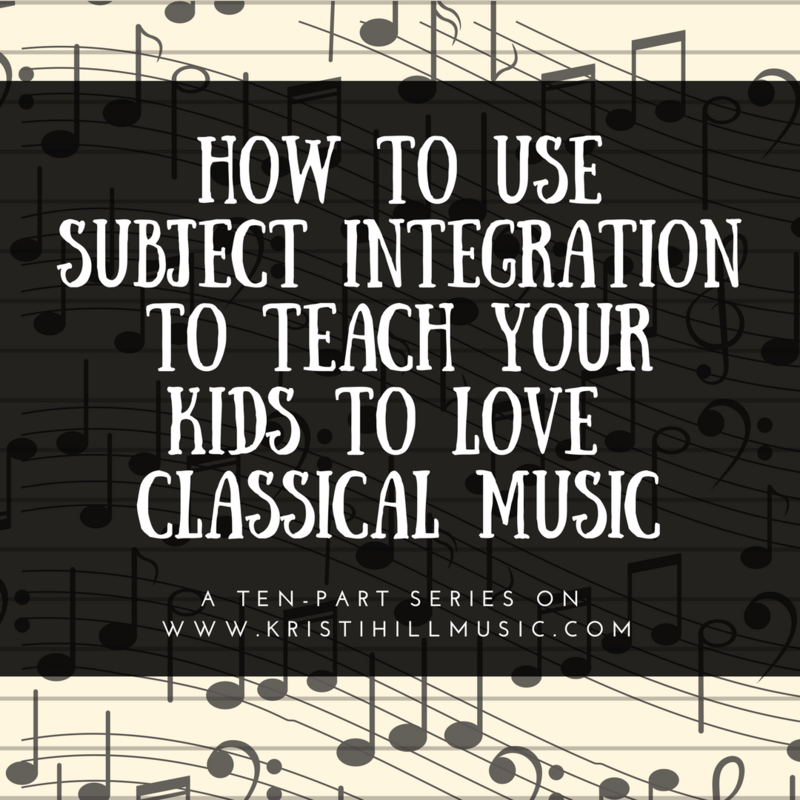 Subject integration will make the music more interesting as your children begin to learn about Scottish culture, the geography of the Hebrides, or the idea of planning their own Grand Tour. Use these ideas to get you started! Explore the geography of British Isles HERE to understand the different countries that make up Great Britain. The Hebrides Islands are technically an archipelago. Need a definition on that? HERE you go. Explore Fingal’s Cave. Learn all about it HERE. And watch this four-minute video (set to Mendelssohn’s music) HERE. One more: this takes you inside the cave! Try THIS simple craft to create your own tartan. Learn about the history of bagpipes and why they are so prominent in Scottish culture HERE. All about Scottish Highland Games HERE. Pretend you have one year and an unlimited budget to plan your own Grand Tour. Where would you go? What would you see and why? What countries would you skip? Next week’s post will take us deep into the Swiss culture using the music of the William Tell Overture. Why Swiss? You will have to come back next week to find out!